Technology is all around us, including in dairy barns. With all the advancements in technology, it is increasingly common to find at least one piece of robotic dairy equipment in dairies all over the world. In fact, there are more than 30,000 milking robots in operation worldwide that provide benefits to both cows and farmers. An automatic feed pusher can save fuel and labor costs, working day and night to continually push feed to the fence, minimizing leftovers. An automatic feeding system delivers cows fresh and well-mixed rations several times a day while minimizing labor, feed costs and fuel. An automatic milking system allows cows to be milked on her schedule and also provides an abundance of data on individual cows. There are even rotating brushes to stimulate blood flow and remove dust from the cow’s skin through brushing, helping to create a happy, relaxed herd. These advancements in barn technology make it easier for both producers and cows to do their job, and do it well. By combining various dairy robots in your barn, you can increase efficiency, cow comfort and milk quality of the herd as a whole. 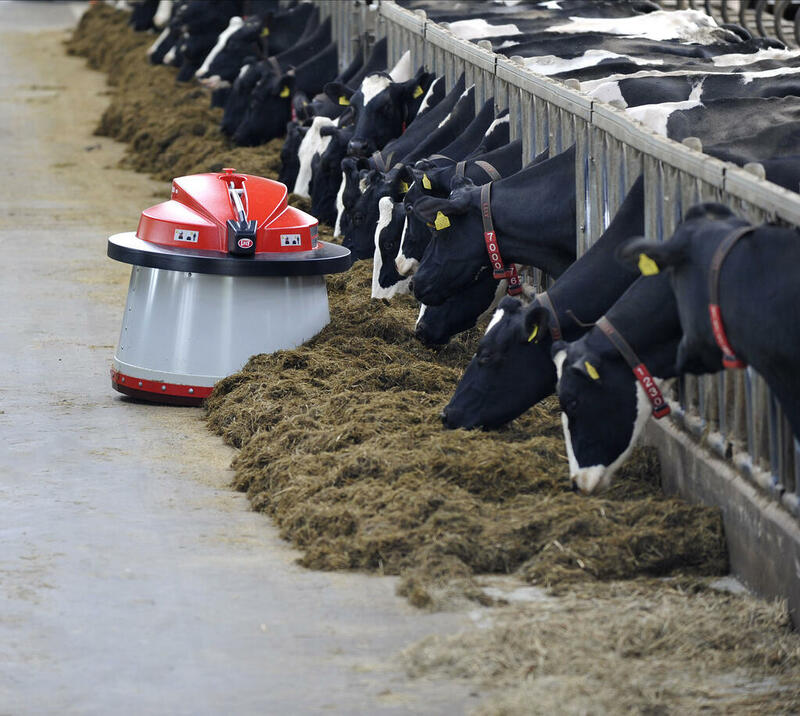 Lely pioneered the dairy automation movement 25 years ago introducing the first milking robot and strives to make farmers’ lives easier with innovative solutions. The following areas of focus are just three ways that we have utilized robotic technology to help improve dairy life for producers and cows. Providing frequent, fresh feed leads to increased feed intake and higher milk production, and also has a positive effect on cow health. The Lely Vector automatic feeding system and Lely Juno automatic feed pusher work to ensure your cows are receiving the nutrition they need on a consistent basis. The Vector provides your cows with a fresh, measured and properly mixed ration several times a day with no work needed from you. When the feed is being pushed, the feed-height sensor detects whether more feed needs to be added. This reduces the amount of feed waste and increases the quantity of fresh feed. The Juno pushes feed within reach of all the cows in the barn seven days a week, 24 hours a day. This helps your production because a well-fed cow that is supplied with the appropriate nutrients will deliver more milk in the tank. Reduce labor in the barn with automation while improving herd health. Frequent visits to the robot ensures regular milkings. More milkings support cow health and minimize the risk of health issues which impact production. Not only do these factors contribute to increased milk quality but, the Lely MQC (milk quality control) sensors, on the Lely Astronaut robotic milker, provide vital information on animal health metrics like: rumination; weight; milk fat/protein/lactose content including fat and protein ratio; and conductivity, color and quality of the milk. This results in easy-to-use practical attentions of cows with mastitis, ketosis, acidosis and other health problems, providing you with vital information on mastitis, body health and feed rations. What else have we learned about dairy automation in the past 25 years?